CURIOUS CASE OF AMAZON ALEXA AND COOEY! Love is all over the place today, the air feels oxygenated. At Cooey we are always in search of making simpler and better user experience. Love with Alexa was love at first sight. Smart phones changed the way world works, but have you ever wished that you could do away with your smartphone? More specifically, have you ever wished that you could get all the possible assistance without having to use a smartphone or a mobile app? Yes, the future of home automation is here! Last year has been an amazing year for Amazon Alexa. Alexa is a "virtual assistant.” In more precise terms, it is a voice-activated computing concept powered by cognitive intelligence and machine learning. You ask a question and you get an answer. OR you give a command and you get the results. Your personal assistant with a difference! 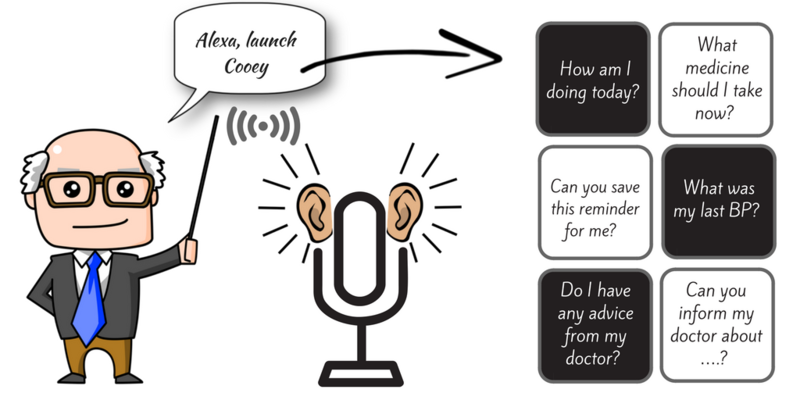 And “Cooey in Alexa” is a skill that helps you with healthcare needs. 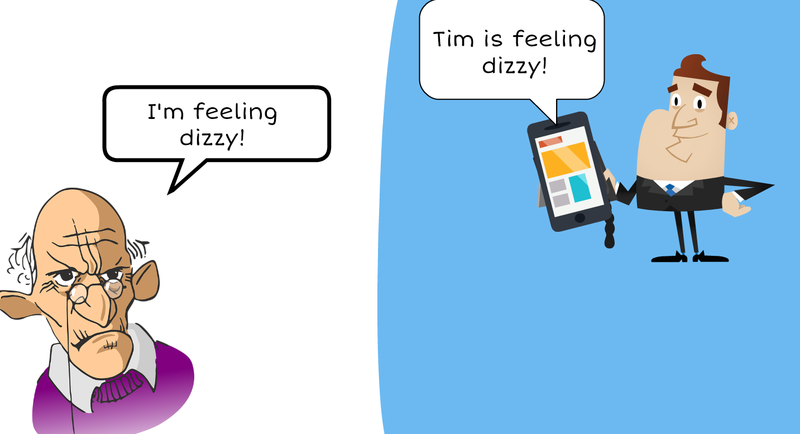 Your offline voice controlled personal assistant with a difference. This is an ask-your-own-need skill. This skill can help you with recording your health vitals, setting & receiving reminders for the medicines you take, reach out to your doctor and receive advice from your doctor, get you status of your health and specific areas you need to improve upon, etc. - all you need to do is ask this cylindrical shaped, Alexa, your intelligent personal assistant. Every person has a need and their queries do reflect that need. Cooey’s Alexa Skill lets you request your preferred type of query and that’s exactly the reason why bringing this skill to Alexa makes a lot of sense. If you make this a regular part of your daily routine, you are going to see some serious results. Now, with your hands-free commands, you are able to manage your health, organize your personal health record without having to touch your mobile device, which is awesome. 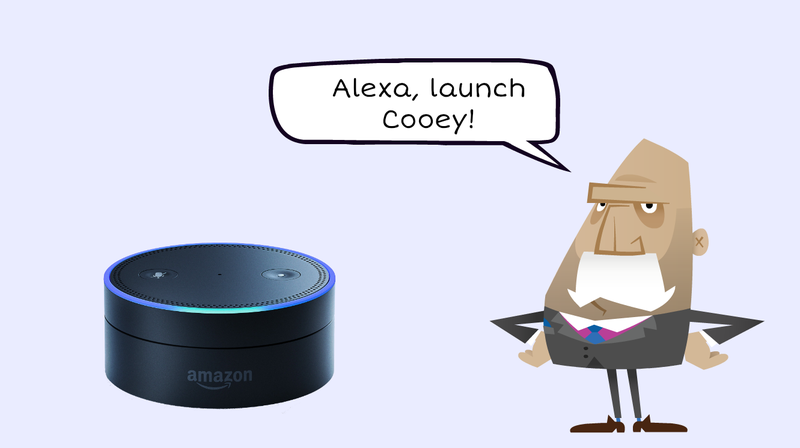 “Cooey in Alexa” controls your device with voice commands, that you find in your Cooey app! So, how do I interact with Cooey in Alexa? Each command gets fine-tuned, as it learns by itself, through machine learning. It doesn’t get tired of repetitive tasks. It possesses an infinite capacity for learning and memorising each AI-driven command. How does it make your ageing parent’s life more comfortable? Let’s talk about why you should consider making use of this technology. An overwhelming percentage of young family members have difficulty caring for their loved ones. 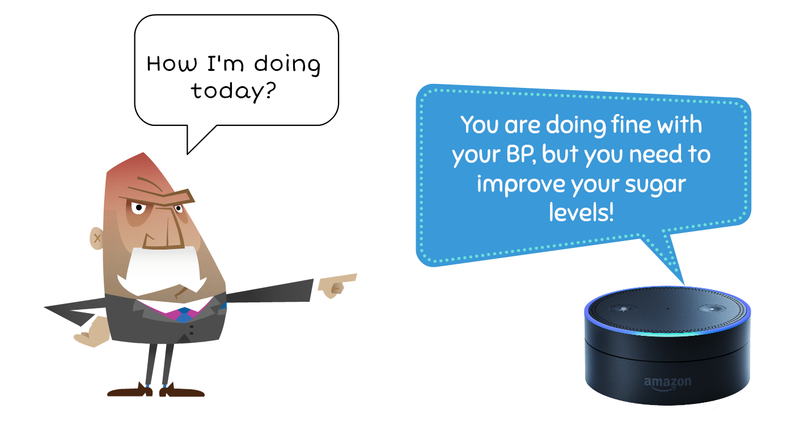 Cooey in Alexa is a wonderful tool for today’s family, especially where there is an ageing parent who needs constant monitoring & support who invariably gets lost out in the complexities involved in logistics of care. Given a choice, the older adults would prefer to stay put in their homes rather than look at other options of staying away. It is where they feel most comfortable, safe, and happy. All they need is a solution that helps them to reach out to their caregivers & family members when in need. And they want simplified answers to their problems. In today’s world, talking is cheap and easier way to communicate because there’s so much that can happen around it. Yes, Cooey in Alexa empowers your ageing parent to call you or his/her caregiver, send an alert, seek advice, receive reminders as the case may be. It’s a super easy way to connect with, and it’s one of the most cost-effective techniques too. There is growing need to create an environment that is highly desirable to most senior citizens; an environment that makes their life simpler. Family members and caregivers will need a new gen tech solution to do the best job possible so that they stay informed, coordinated, and most importantly, connected. The vision here is to transform senior care, in-home care and illness that catch up with ageing. MyCooey platform with Cooey in Alexa makes it easier and empowers the end user, be it a patient, a caregiver, or a family member, from a laptop or smartphone to execute the tasks at hand proficiently.